The Airflo Depth Finder Big Game fly line has a 50 pound core to put the pressure on big fish in fresh or saltwater around the world. Free shipping and no sales tax. If you are looking at this fly lines, it is because you are looking for a fly fishing line that will handle big tough fish, and you are likely to be fishing some heavy leaders too. This is your fly line for mondo-size fish because of several features. 1. The Airflo Depthfinder Big Game fly line is a one-core fly line that has no welds that could provide an opportunity for your big fish to exploit. 2. 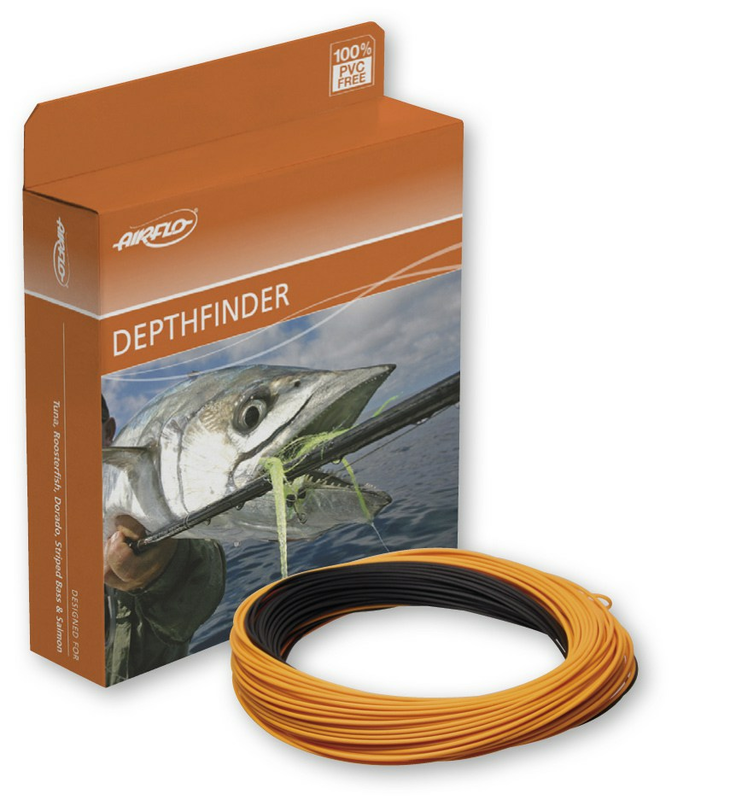 The Airflo Depthfinder fly line is a 150 ft fly line with an intermediate running line, a big boy that will let you keep a direct line on your fish with all the backing on the spool within this distance. 3. This DepthFinder Big Game fly Line by AirFo has a whopping fifty pound braided power core -- 50 lb! This will match with the heavier tippets you may want to use for monster size fish. 4. The Big Game Depth Finder fly line by Airflo is rated for so called standard water temperature range of about the low 40s to the mid 80s, making it suitable for a wide range of fly fishing conditions. This is not the fly line of the water is going to be close to a hundred degrees, so better choose a tropical tarpon line for that situation, OK? 5. This fly line has a 30 ft head, making for quick loading and adaptability to cast short or long as conditions dictate. Going after big tough game fish? 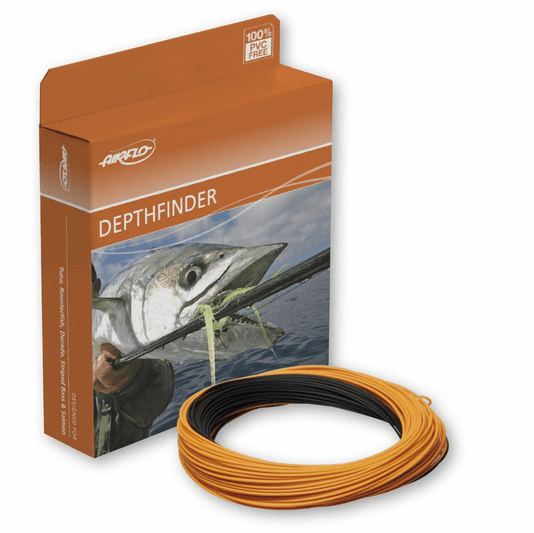 Give this Airflo Big Game depth finder fly line a go.